The Food Loss & Waste Protocol (FLW) is a multi-stakeholder partnership, which has developed the global Food Loss and Waste Accounting and Reporting Standard – also known simply as the FLW Standard. 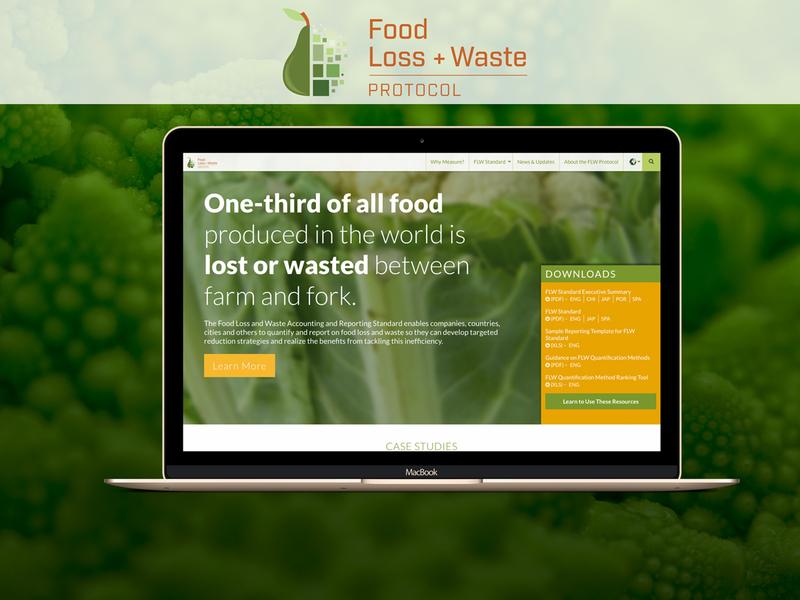 Launched in 2013, the Food Loss & Waste Protocol’s mission is to ensure wide adoption of the FLW Standard so companies, governments, cities and others are better informed about food loss and waste and motivated to curb this inefficiency. FLW approached me to redesign their site, as their first site was not fully responsive and was not structured to maintain their many resources and case studies. The rebuild features fluid text, multiple responsive layouts, and a document management system with the ability to customized featured resources throughout the site.